THE embarrassing 35-point flop in Tokyo has so rattled the Reds players even they must wonder which Queensland team will show up against the hot Hurricanes on Friday night. 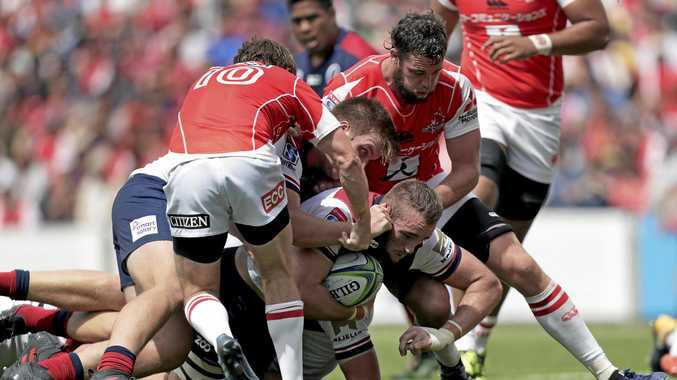 The Reds were so bad on Saturday that they played Japan's Sunwolves into form because the 63-28 loss must be rated as one of Queensland rugby's most inept days in 23 seasons of professional rugby. Any repeat and the Reds will be staring at another thrashing from Beauden Barrett's super-slick Hurricanes in Wellington. It's a short turnaround for a huge challenge when the players thought they had taken a week of thorough preparation into Saturday's match in Tokyo. "This game is not a hobby, you have to turn up mentally prepared because it's not an option to sort of turn up,” Reds coach Brad Thorn said. Thorn didn't need to finish the sentence because the Hurricanes' nine-game winning streak and lapping the Reds (23) for try-power (46) speaks for itself. 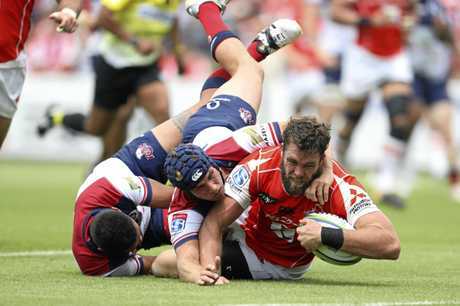 The Reds played with terrific intensity to upset the Lions with a 27-0 start, yet either side of their last home game have gone missing when it mattered against the Chiefs and Sunwolves. "That down-up-down inconsistency week-to-week is not good,” veteran George Smith said. Only blaming the team's fluctuating intensity is a misnomer because one-out running in poorly organised attack, immature play and sloppy errors were also killers. Flyhalf Jono Lance pinpointed poor concentration. 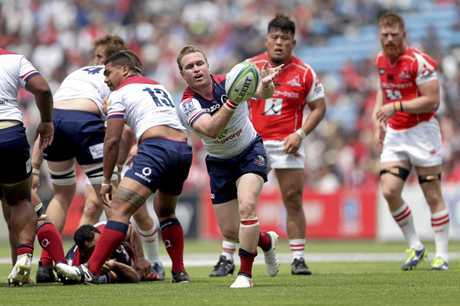 "There are ebbs and flows in every game and we were dwelling on penalties or errors rather than concentrating on the next five minutes to get the momentum back off the Sunwolves,” Lance said. A recall for skipper Scott Higginbotham will add some much-needed ball-running to the backrow but it is no cure-all. Halfback Ben Lucas is on shaky ground because his passes from the ruckbase aren't immediate enough while Duncan Paia'aua would add something as a second playmaker. On a rare occasion the Reds clicked, they rumbled ahead for 23 phases before Angus Scott-Young scored. 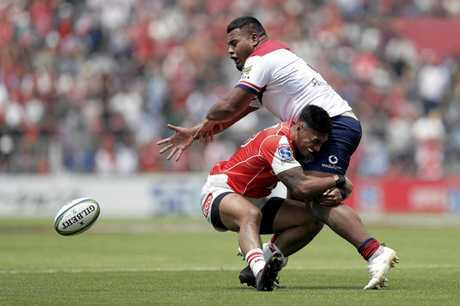 The Hamish Stewart crosskick to eye-catching winger Jordie Petaia was a beauty but when the inside pass was intercepted, with a try on, it became a 14-point turnaround to the Sunwolves. The Reds didn't perform as favourites in Tokyo but that is one issue they won't have to worry about for Wellington.